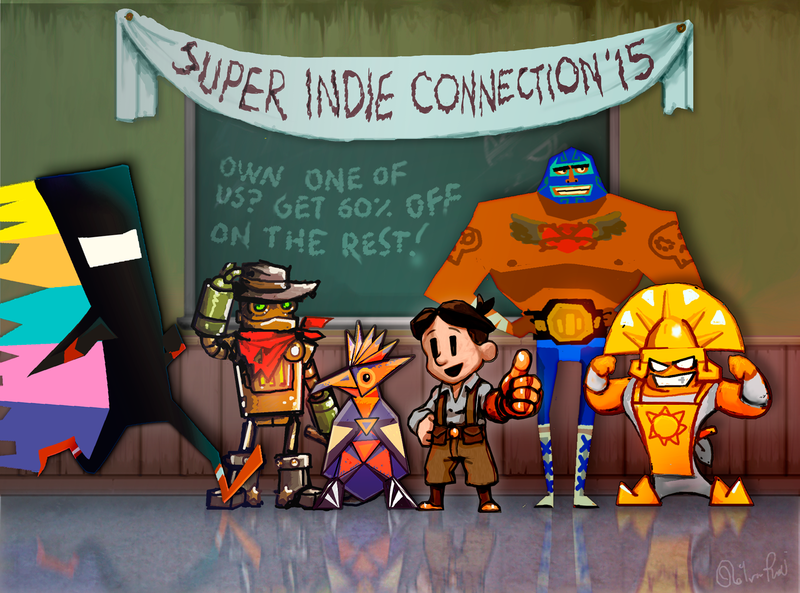 Indie Connection Sale: Group Photo! We took the liberty of combining all of the previous Indie Connection fanart into a group photo, Here’s everyone hanging with Teslagrad Kid! Remember, If you have any one of these games on Wii U, all of the others are 60% off until Jan 22! This entry was posted in Indie Connection, Sales, Wii U by Ole Ivar Rudi. Bookmark the permalink.